* Hook and Loop Closure So They Won’t be Kicked Off! * Dots Non-Skid Rubber Grips on Bottom. Strip do not have grips, attention. Note 1: It is manual measurement, there may be 1-2cm tolerance. Thanks for your understanding. Note 2: The recommended age is just for your reference, Please measure your baby’s foot length to choose the right size for your baby. NOTE :For SIZE, please measure baby’s feet to match the shoes’s sole length, the age is just for reference. Chi Chi Mao is famous for its baby shoes, we are professional factory for making baby shoes for more than 10 years. At first glance, but a terrible smell, but in one shoe inside fleece is different in quality: slim and bald, and a hole on the inner layer, in short, no stocks never is here. Very well. Fits well and stay put. They like me. A second time. Waiting for a long time. 1.5 month somewhere. Tapotulki ordered 13-18 months on the insole are about 14 cm. Our feet 11 cm and you can see the photo which have stock (+ heels also have stock). IN general, cute, fabric top thick cotton, inside fleece myagonky and more or less accurately, inside, the outside. But honestly, not for 250 rubles the buy. The maximum price 150 rubles., the photo shows that one slippers wider than the other. Product is not recommended. Order went 1 month. same as described. good & soft shoe for babies. i recommend this store. Great thing for little baby though. High Quality, soft. Отлеживались. To SF for 3 weeks flew. Order went 5 weeks. Slippers soft, tonkovat, not vilify the street, while there were the weather deteriorated. Is not measured, but think the foot 10 cm will be right back to back. Items come in a month. Ordered 13-18 months, we are now 11 months they are a little big, think that the size is correct. Quality is not bad, well, but agree with the previous reviews, 250 is a little expensive. But in general, happy. Second pair of this bootees. Don’t go out. Ideal and not expensive. Slippers quality, no smell. Very comfortable! Parcel arrived for 3 weeks! Good, like the photo. Big. Order 7-12 months, but they are great leg. Normal sneakers. We are still more big, US 7 months. But, reserved for growth. Took the 18 m. But think to be just a year. Baby good. The same stores 1000r stand. The second time, cool! Beautiful, warm! Recommend! Look neat looking, no weird smell. Quickly within 3 weeks but fall called Big. For 4-6 months. 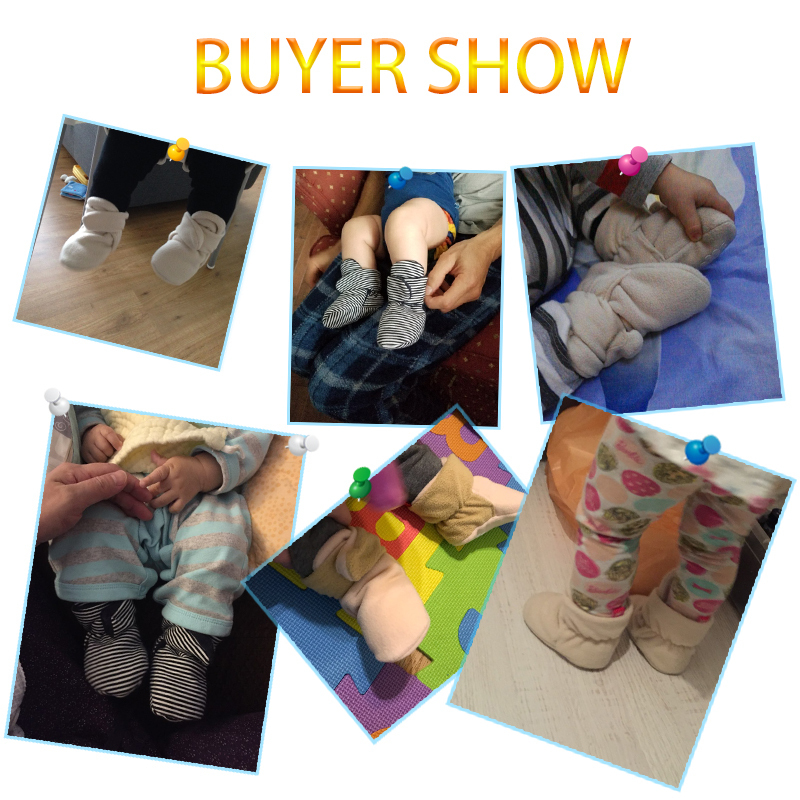 Good quality, soft and warm, it stays on the feet of the babies. Goods received within 8 day in the Netherlands. Shipping 19 days in Belarus, Grodno region. Soft fleece, лиаучки good. Buy a second time, for growth. Happy. Cool, soft, comfortable. Very much. Recommend. Buy second pair! Very cool! They arrived in 10 days! They look great. they are 12,5 cm instead of 12 cm. So my daughter can wear them for a long time. I’m going to order more pairs! Fits perfectly. Fast in house. Super Fine. Small is 5 months and has big feet. Soft, sewn neatly. Thanks to the store. love love love this product! fits my daughter perfectly and by far the fastest shipping I’ve ever had on AliExpress. Beige ordered for my daughter, store put blue stripes. The one booties had a hole, a dispute, seller return the funds. Baby Shoes warm, very comfortable to hold in the leg, fleece inside, outside is cotton. The goods are delivered in accordance with the specified time frames, description. Neatly stitched soft shoes (immediately wash the car in the mantle laundry). Took the baby to winter it easily could walk around the house (US year and 3 months, so have the biggest size, which sat on foot). Protivoskolzyashki doing their work on a linoleum, on which the ordinary wool Baby Shoes slip with a whistle. Today ordered another pair to replace (dark brown, as blue quickly get dirty). Product content. Seller recommend. It have 2nd are larger. Run and crawling on the floor when there is no heat just fine, warm and non-slip. Wear easily, good Velcro. Before there were pink, Mark color, like clear floor намывай, child поползало and they are pink and gray, so took Brown. Look decent off! Good description! I recommend them to. Goods received, no claims are exactly as the picture. Though was received a letter that the order is canceled, because they do not received the money on the account, but the goods delivered on time. Within 7 days within, good looks! Super fast delivered. Good quality. Lovely warm baby shoes, exactly as in the pictures. Super soft, comfortable! Thank You Very Much! Come to Chelyabinsk for 1,5 months. The photo 100% sewn neatly. Very fast delivery. Solid quality. Very happy with it.